It is said that the USA has given the world 3 unique art forms, Jazz, the Comic Book, and Creole food. Creole cuisine from Louisiana combines influence from French, Spanish, West African and Native American traditions into something that is very American – a Melting pot. 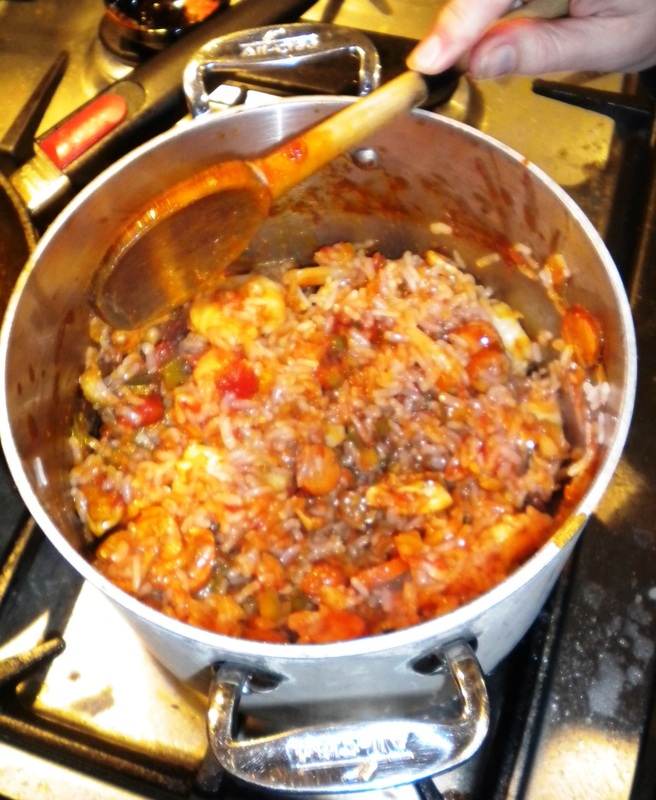 Jambalaya is a creole version of Paella, basically it’s a starchy rice dish cooked with meat and a broad palette of chillies. This recipe is based on one from famous Louisianan chef Emeril Lagasse with just a few changes to make it low carb but still delicious. 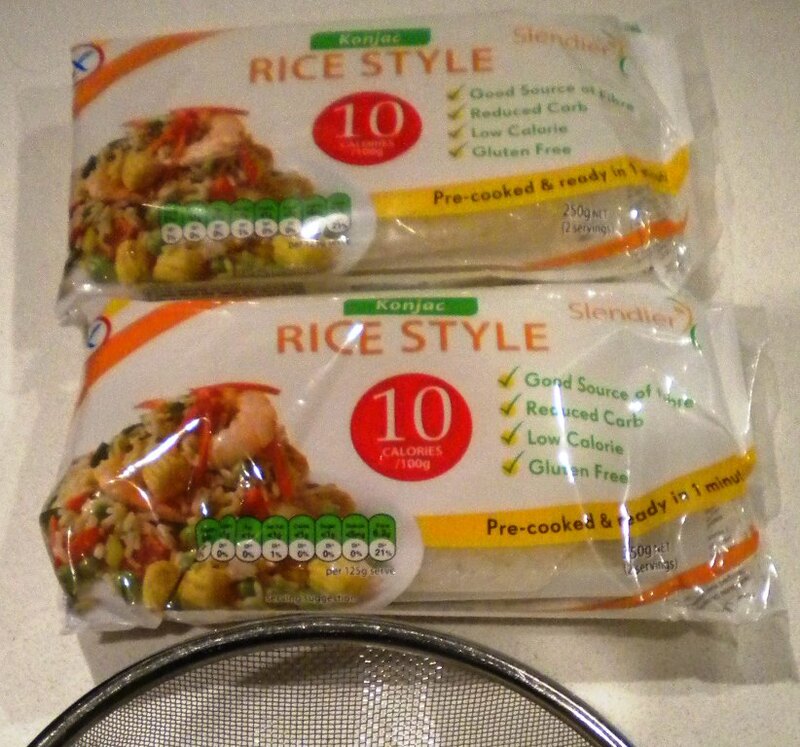 The main change we’re going to make is to replace rice in the meal with Konjac ‘rice‘, which will require a slight change in how the meal is cooked – as Konjac ‘rice‘ will not absorb liquids, nor will it shed starch that would thicken the sauce. Konjac (sometimes called Shirataki) is an asian yam that produces starches that are almost completely indigestible by humans – meaning you can use it to create textural elements like noodles and rice-like grains without any digestible carbohydrates. It is however very good for your gut bacteria, and has been used as a medical supplement to stimulate the creation of Butyric acid which has therapeutic effects for diseases of energy regulation like Diabetes. Sometimes Konjac has a more slimey texture than the noodle it replaces, but for this recipe that is exactly what we are going for. 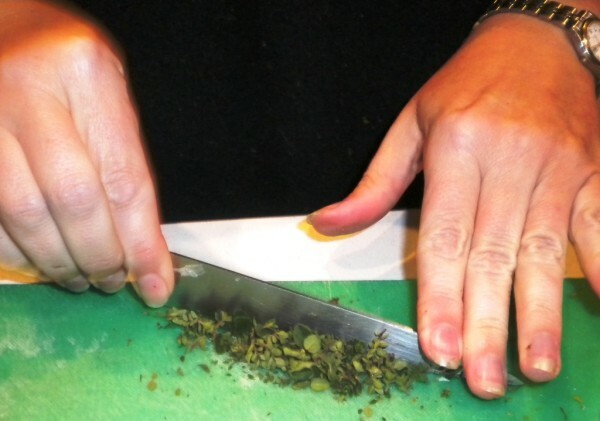 It also has quite a funky, almost fishy smell – you need to soak it for a bit and drain it before using it. To be honest this dish came out so much better than we expected, the spice and flavours of the veggies and meat means you can not notice the Konjac ‘rice‘ being different. I highly recommend this recipe if you have not tried cooking with Konjac before. NB: Konjac ‘rice‘ can be replaced with cauliflower ‘rice‘, but you would probably have to add more liquid and add the ‘rice‘ a little earlier than this recipe. 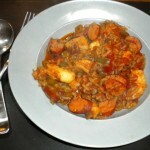 Love Cajun food? Don’t go past this southern delight. 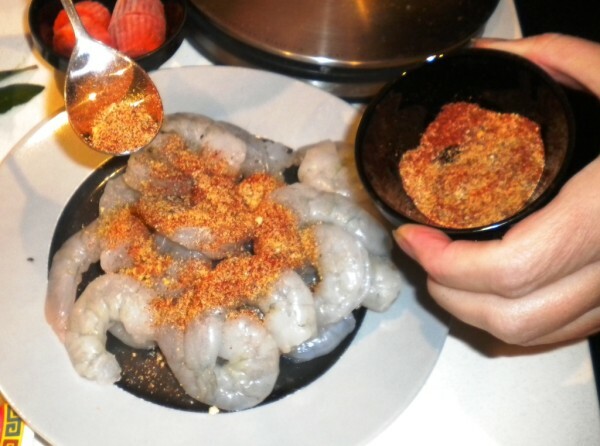 There is a lot of ingredients in this recipe, but there are not that many processes really, there is a spice mix which Emeril makes up in larger quantities and then uses for other cajun dishes. 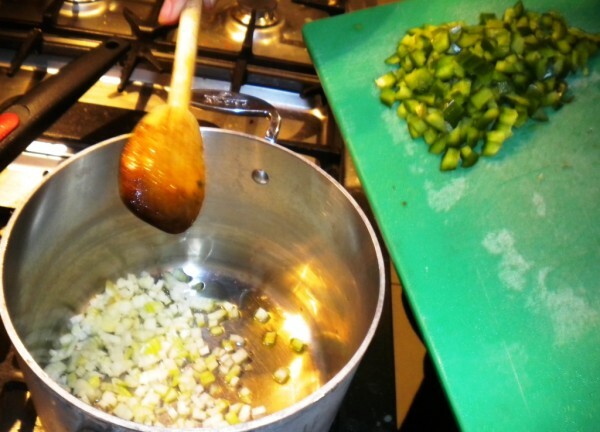 We enjoyed this one so much we plan to do more Creole dishes like Gumbo and Étouffée. 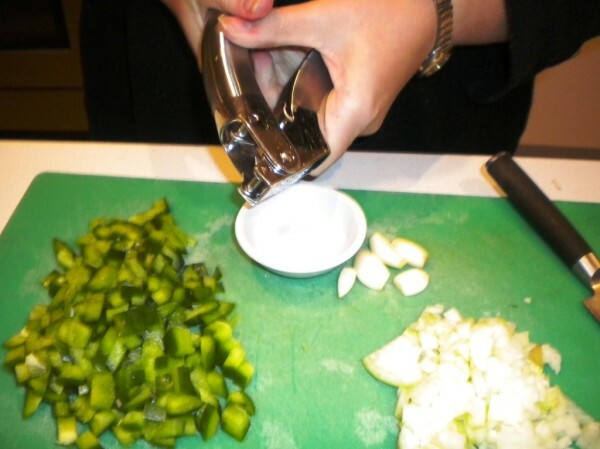 As with all our dishes, if you don’t like it too spicy, then reduce the number of chilli paste blocks. However, this dish is meant to spicy and give your tongue and lips a lovely tingly feeling after eating. 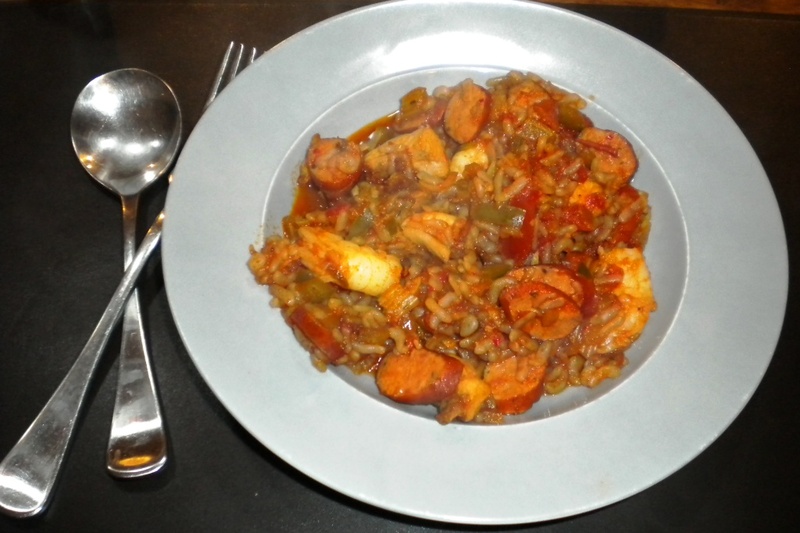 A spicy southern rice dish with prawns, chicken and spicy sausage. 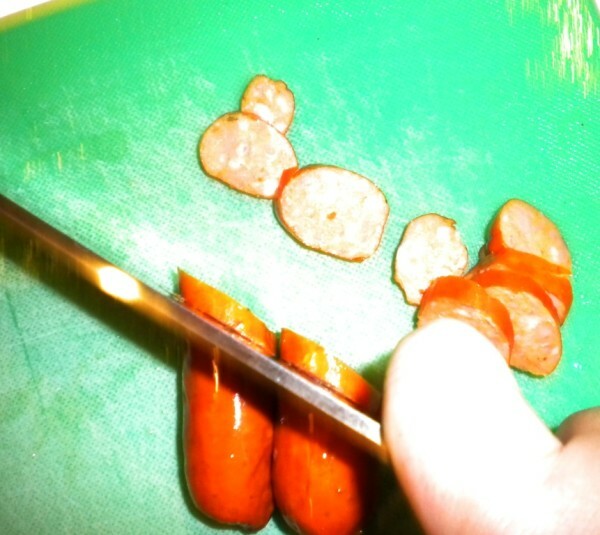 Slice the sausage into thin slices. 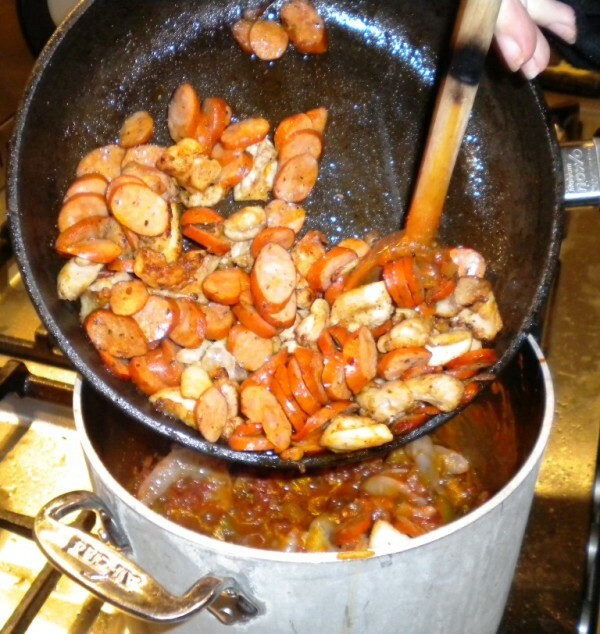 I like to do this really thin as it increases the surface area of sausage with which to flavour the sauce, and it makes it seem like there is more. In this instance we had mini-chorizos in the fridge that we had to use up. Heat 1 tbsp of the oil in a pan and add the chicken after 2 minutes add the sausage and cook until the chicken is sealed and starting to brown on the outside. 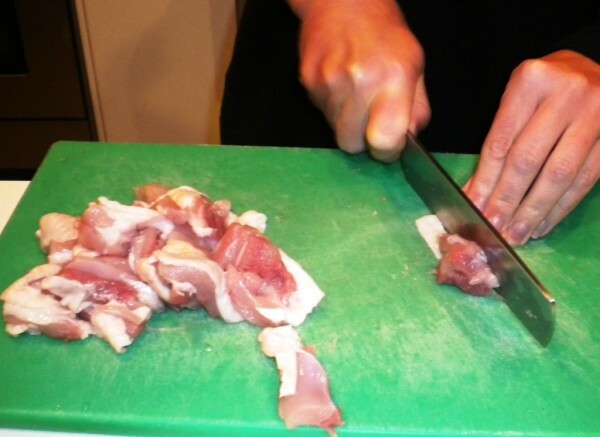 In the traditional recipe, the meats are cooked in the sauce as it gets absorbed by the rice. As we are not cooking traditional rice, this process is a little different. so we'll just take the meat off the heat and set it aside for now and add it later. 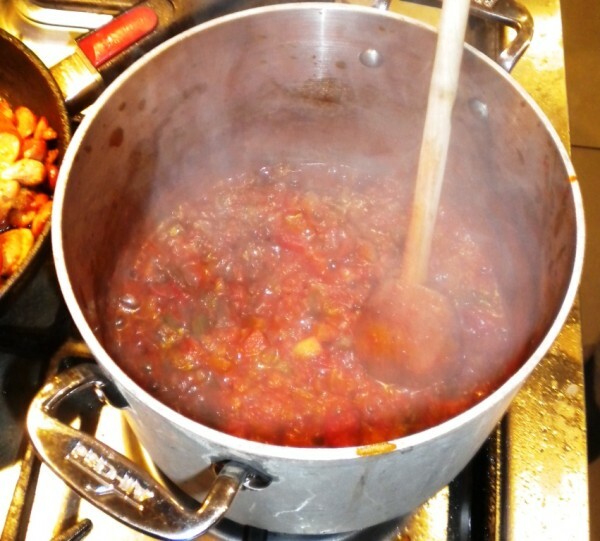 Add the garlic, the tin of tomatoes, crushed bay leaves, the chopped herbs, Worcestershire sauce and the chilli paste or hot sauce. 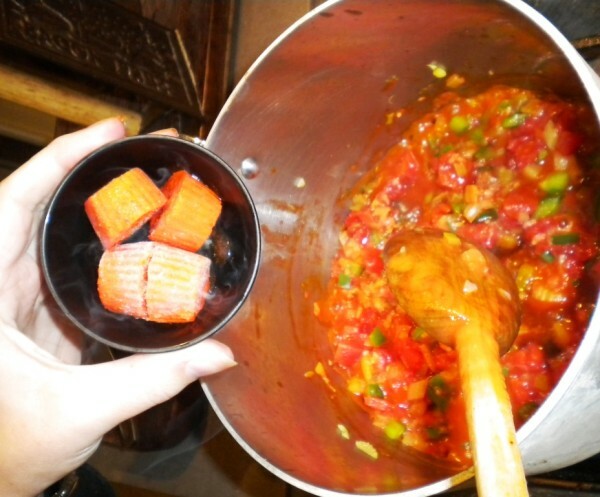 Cook for 1 minute while combining all the ingredients. 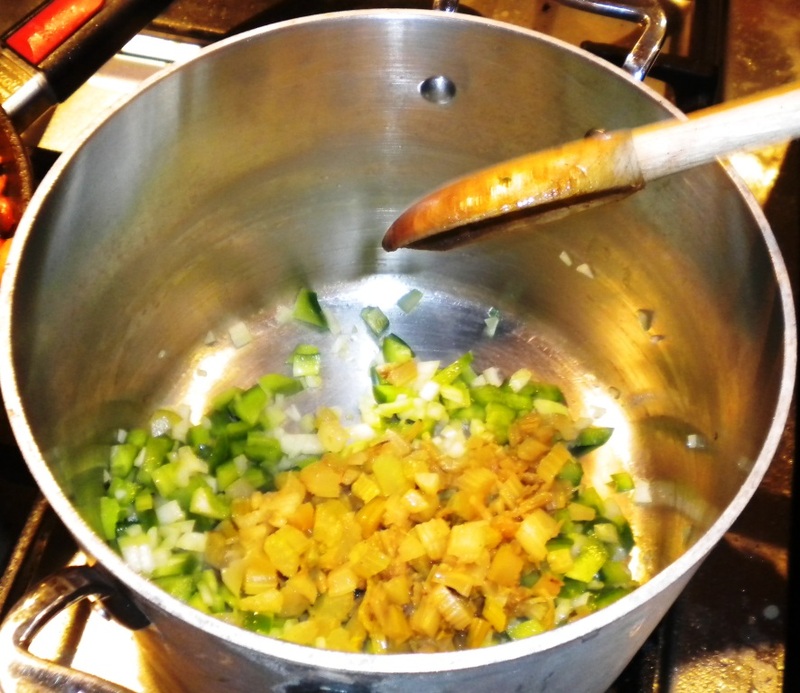 Add the stock, turn down the heat and cook for a maximum of 15 minutes or until the volume has reduced by 1/3. 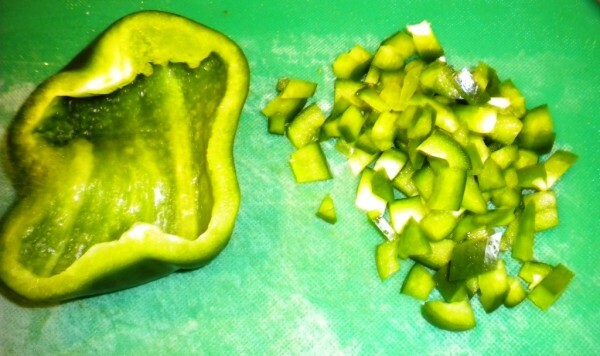 While the sauce is reducing prepare the Konjac rice. 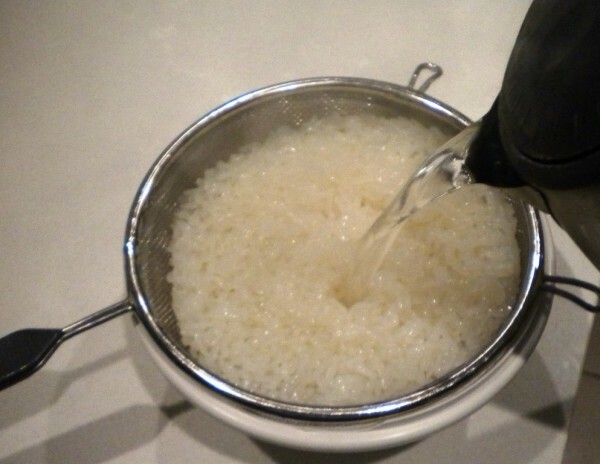 Drain the packets in a strainer and rinse, then put the rice in a bowl and cover with boiling water. Once the sauce is reduced, add the chicken & sausage, the prawns and stir, then add the rice after draining from water, add the balance of the spice mix and herbs. 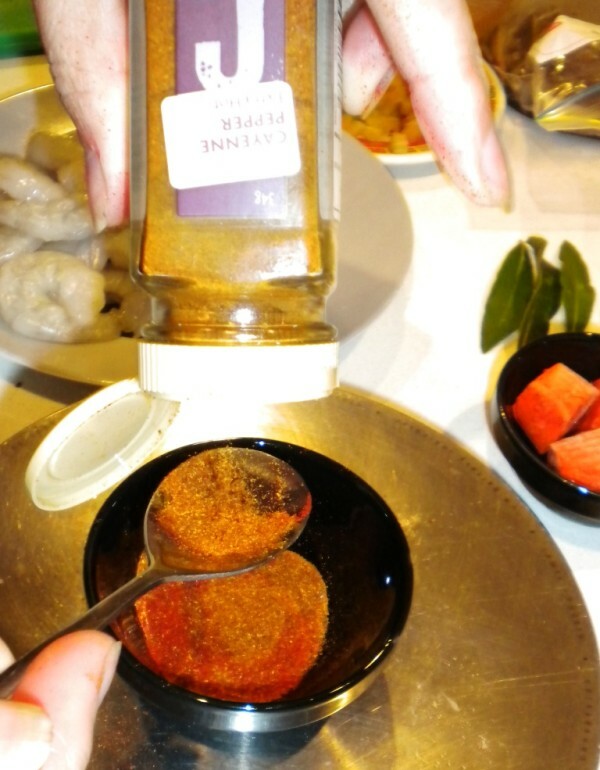 Add salt to taste and cook until prawns are cooked - no longer translucent and pink. 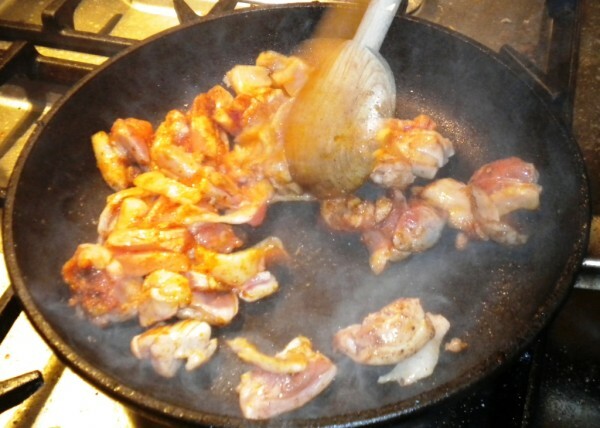 The sauce should be reasonably dry but all elements will be well coated with the sauce.